It's a late Saturday afternoon in downtown La Fortuna at the base of one of the world's most-iconic volcanoes. The Arenal Volcano is clear, outlined by lofty clouds and the descending sun. One of our favorite watering holes is starting to fill up. Nene's Restaurant sets the perfect background to catch up with renowned photographer, Thorton Cohen. 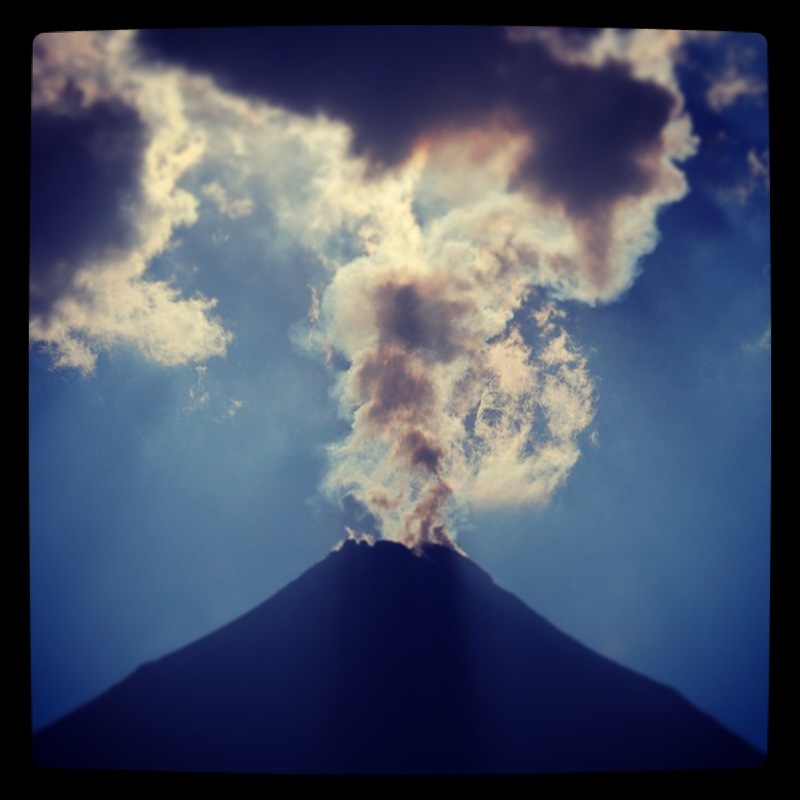 “TJ" is on assignment for Frommer's guidebook getting some pretty extraordinary images of Arenal Costa Rica. “TJ" resides on Costa Rica's Pacific Coast of Guanacaste and owns his own company NOMAD Pics out of Tamarindo www.Nomadpics.com. He's settling in for the night as he takes a deep gulp of his Flor de Caña rum and tonic. “This is NOT a photographic town – at all," the charismatic Cohen reflects. Suresh and I nod in agreement. “It's a good thing there are other things around here to shoot." He picks up his digital Canon mega-lens camera and we scan through his days' work. 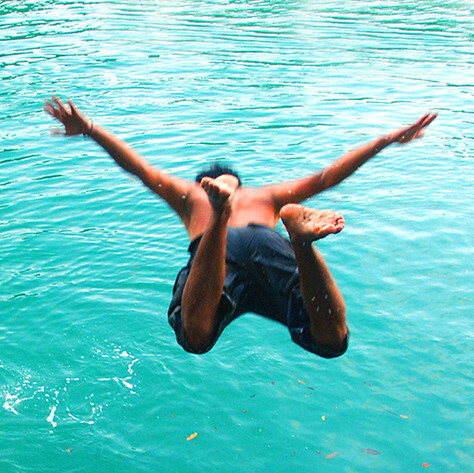 The visuals astound – jumping from the "El Salto" secret swimming hole at dusk, the behemoth Arenal Volcano from every possible angle, happy, joyful local children, abundant flora and fauna. At that moment I thought to myself – whoa… there are so many other ways to look at our community. The problem is we too often just see our surroundings through our short-sighted tourism lenses. Suresh's approach to business at Desafío Adventure Company has been to always be on the cutting edge of adventure tourism by opening new markets and inventing new things to do in Costa Rica. Cohen started giving us advice on a new Desafío Adventure Travel magazine and new website we've been implementing: “You know what, the opposite of love is indifference. You have to make people either love or hate it. Provoke them." Suresh stirred his Cuba Libre and eyed up his yucca al mojo. Suresh offered a bite to our Brit companion. With a smirk and a grin, Cohen replied “I hate vegetables. Greens are for smoking, not eating…" It made for a little chuckle. “Look, your biggest challenge is content – make a connection with the people who are reading -- the world is a visual place these days – it's got to be visual." So, Suresh and I try to make everything visual. Hope you like the photos and videos. TJ nabbed some great shots of Suresh. It may seem simple, but putting together a magazine or a new website is a huge endeavor – getting the right shots, including good writing and just basically coming up with new concepts for marketing. Our intent is to highlight some of the great things you can do in our favorite areas of Costa Rica. We like using the theme: “Volcano, Jungle, Beach" when planning a trip in Costa Rica – which happens to be the name of one of our favorite package tours. You visit La Fortuna at the base of the Arenal Volcano, for the “Volcano" part – Monteverde cloud forests, for the “Jungle" part and Playa Samara/Playa Carrillo for the “Beach" part. Suresh Krishnan started Desafío Adventure Company way back in 1992. Born in India, raised in California, this enterprising young man known as the "GangsterKayaker" was the first to explore many of the rivers of the Northern Zone for commercial use and now oversees a thriving, fun company. Christine joined him in 2001 after trapsing around Latin America working as a tour leader. Combined they share nearly four decades of adventure tourism experience together.